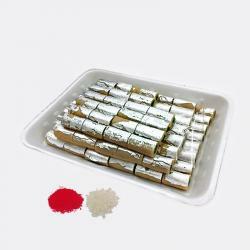 Product Consists : 1 Kg Motichur Ladoo in a Box along with Free Roli Chawal. 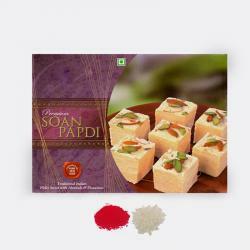 This is a very beautiful gift if you want your dear ones to stay blessed always. This is a hamper that is full of piousness and happiness. 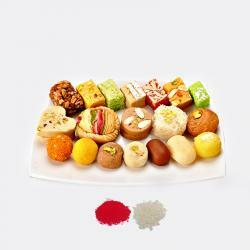 A delicious combo of relishing sweets like Motichur Ladoos the original Indian taste. 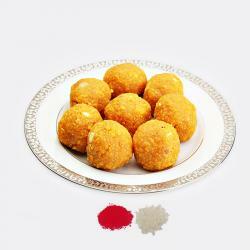 The Laddoo to retain the longer taste and freshness of the ingredients. This comes with a Traditioanl Roli Chawal. 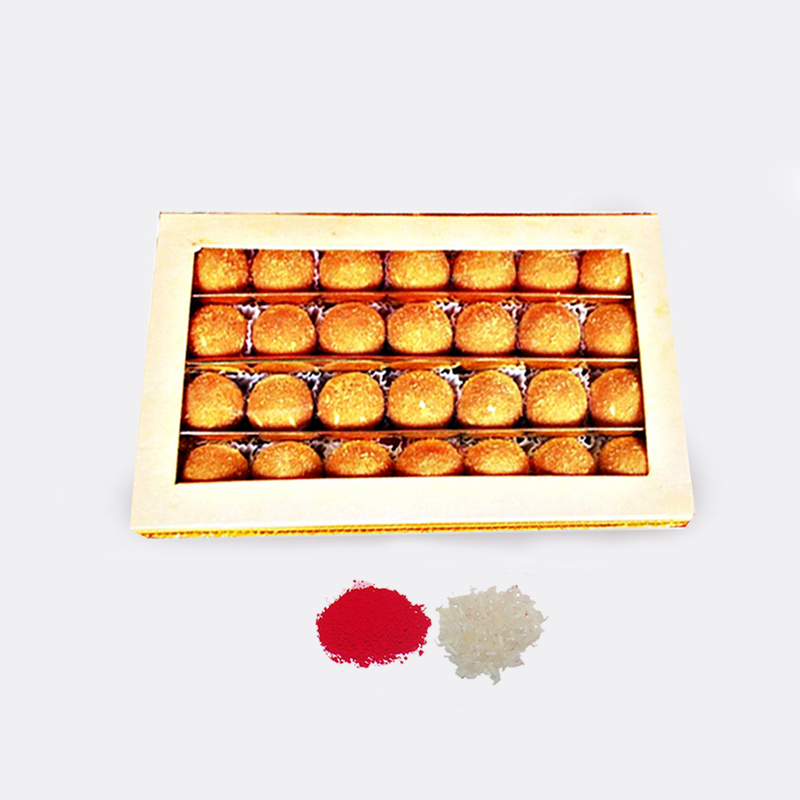 Product Consists : 1 Kg Motichur Ladoo in a Box along with Free Roli Chawal.